are about LONG-TERM DEVELOPMENT, Building the Individual from the Foundations of the Sport. We Strive to become the best we can in a FUN environment. The Lawrence Swim Team was founded in 1977 and is an affiliate of USA Swimming and Indiana Swimming. The team was created to directly support the efforts of the MSD of Lawrence Township to provide continuing education in water safety and competitive swimming for its students and community. LST is designed to: TEACH the sport of Swimming and Individual Success in and out of the pool, DEVELOP student-athletes of Character, and GROW the SKILLS in the areas of technique, training, mental prowess and toughness, racing, and leadership. We compete at all levels of swimming, novice to Olympic Trials. Every year, we have several Senior Athletes attend Universities and Colleges on Athletic and/or Academic Scholarships. Our athletes are consistantly at the top of their academic classes. We support and provide many excellent student-athletes to the Lawrence Township High Schools - Lawrence Central and Lawrence North, two traditionally strong High School Programs. Additionally, we have athletes who compete at several private schools in the area as well. 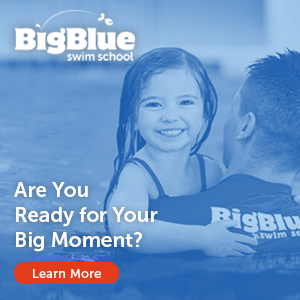 Additionally, LST provides a year-round Learn-to-Swim Program with opportunities for beginners to pre-competitive swimming lessons for both CHILDREN and ADULTS. Lawrence Swim Team is a 501(c)3 non-profit organization (P.O.Box 36327, Indianapolis IN 46236-0327). All of our coaches have passed a background screening and are certified through USA Swimming. The mission of the Lawrence Swim Team is to provide the community of Lawrence Township with an instructional and competitive swimming program in an environment that will foster an atmosphere of sportsmanship, character, and achievement through hard work and goal setting. The Lawrence Swim Team, located on the northeast side of Indianapolis, is looking for a highly motivated, energetic, and knowledgeable individual to be the Head Coach starting immediately. The Head Coach will have a position on the 7 member board of directors. The mission of the Lawrence Swim Team is to provide the community of Lawrence Township a competitive and instructional swimming program in an environment that will foster an atmosphere of sportsmanship, character, and achievement through hard work and goal setting. Lawrence Swim Team has a Facility Use Agreement with Lawrence Township allowing access to the Lawrence North Pool (14 lanes, 25 yards wide with bulkhead) and Lawrence Central Pool (6 lanes, 25 yards) when not in use by the schools. The qualified candidate will have extensive experience designing annual training programs for training groups of all ages. Such programs should include (for all strokes) development of technique, endurance, speed and power; dry land training to supplement in water training; tapering strategies prior to championship seasons; and understanding of training intensity cycles. The qualified candidate will have experience educating age group coaches on implementation of the above, and will insure the continued growth and development of all members of the coaching staff. * Manage day to day club business. * Planning, scheduling and conducting practices in coordination with other assistant coaches and other programs that use the facilities. * Maintain effective relationships with Metropolitan School District of Lawrence Township (MSDLT) swim coaches, parents, and athletes via individual conferences and periodic group meetings. * Maintain a positive working relationship with the club board by openly discussing parental concerns providing input to strategic planning and policy making, and presenting ideas and opportunities for club improvement through USA Swimming’s recognition program. * Develop the overall coaching philosophy and direction of the club to ensure that the tradition of excellence and the type of student-athlete-citizen that the LST has produced will continue. * Maintain a close affiliation with various swimming associations such as Indiana Swimming, USA Swimming, ASCA, NISCA, and IHSSCA to foster a positive working relationship, to ensure the club is informed of upcoming events, to solicit support and for personal development. * Supervision of Lawrence Swim Team athletes at practices, meets, and travel (if applicable). * Attendance at regularly scheduled board meetings, coaches meetings, practices, and meets. * Working knowledge of Hy-Tek Software and Team Unify Website Design is required. * A coaching position with any of the Lawrence Township swim teams, including assistant coach and head coach, may be available.